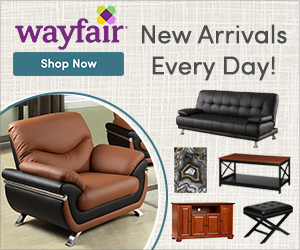 In the middle of May, Alaska's Kenai Peninsula was ravaged by a likely human-caused forest fire. Due to its location, the fire quickly became known as the Funny River Fire. Fortunately, no one was harmed in the fire, and it was contained before moving into heavier populated areas of the Peninsula. Unfortunately, less than a week after its started, it consumed 156,041 acres, or 243 square miles, and everything in its path. As the fire tore through the Kenai National Wildlife Refuge, it caused wildlife to flee. But, not all were able to escape. 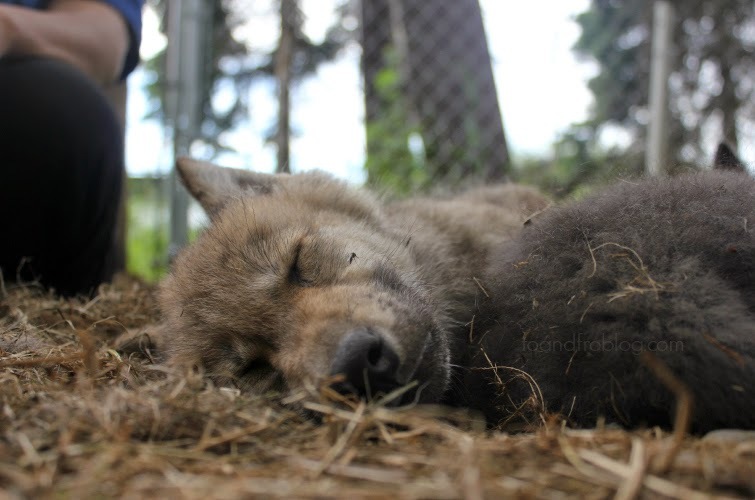 As firefighters worked the area, they found a den of wolf pups left behind when the rest of their pack fled the advancing flames. The two week old pups were dehydrated, injured, hungry, and 5 of the 6 were alive. 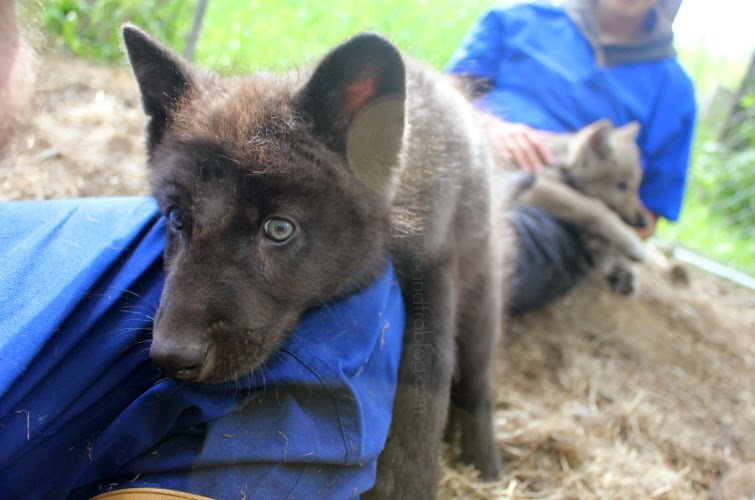 Following the rescue, the pups were taken to Anchorage for further care, and then transferred to the Alaska Zoo, which cares for injured and orphaned wildlife. 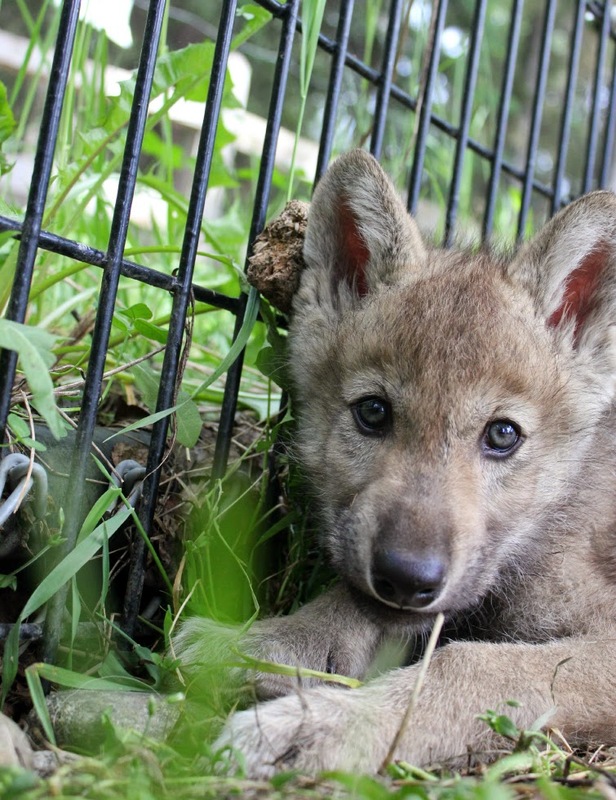 Since the Zoo already has a wolf pack, and the pups cannot be released back into the wild, the Zoo provided care until the pups became healthy enough to move to their permanent home at the Minnesota Zoo on July 15. 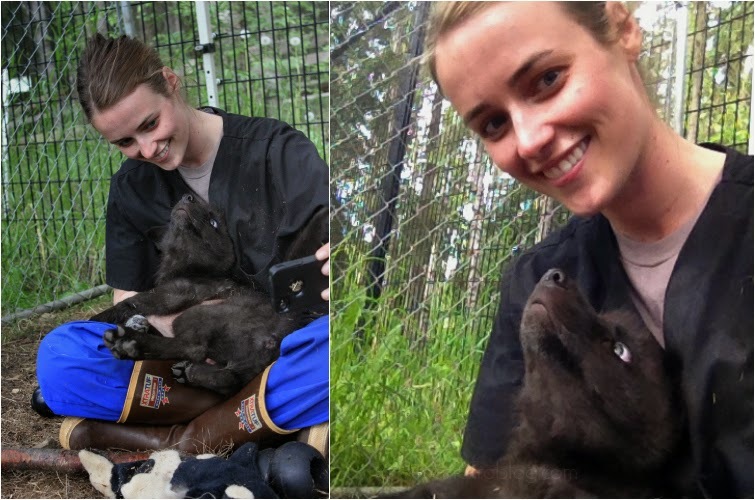 During our time in Anchorage, we spent quite a bit of time at the Zoo visiting friends, both furry, feathery and of the human kind, and thanks to a former coworker and one of my best friends, had the opportunity to sit in with the pups. Determined to get the camera. 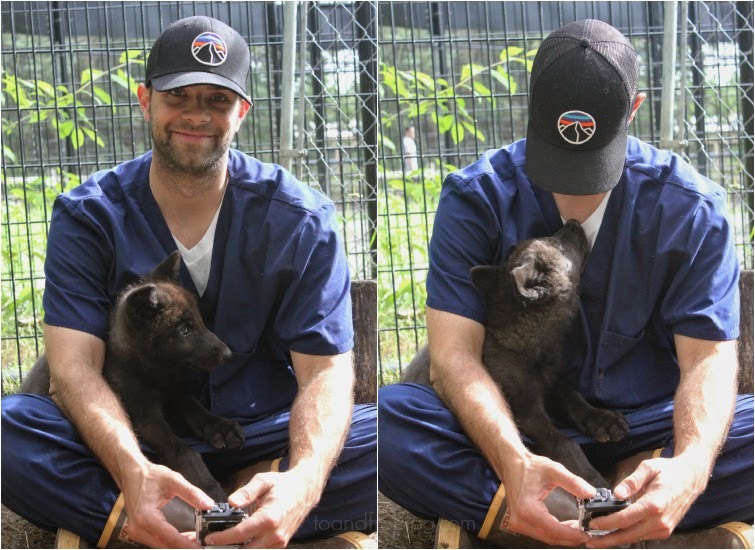 We've both interacted with the adult wolves at the Zoo in the past, but this was a whole new experience. I think Steve is still on a high and its been almost three weeks. 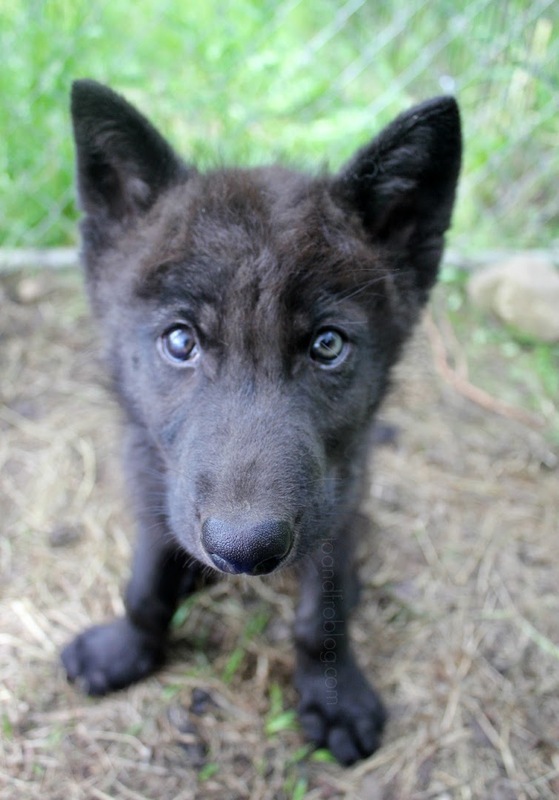 Please note, while they are cute and cuddly, these wolf pups are still wild animals. Please do not try this at home. 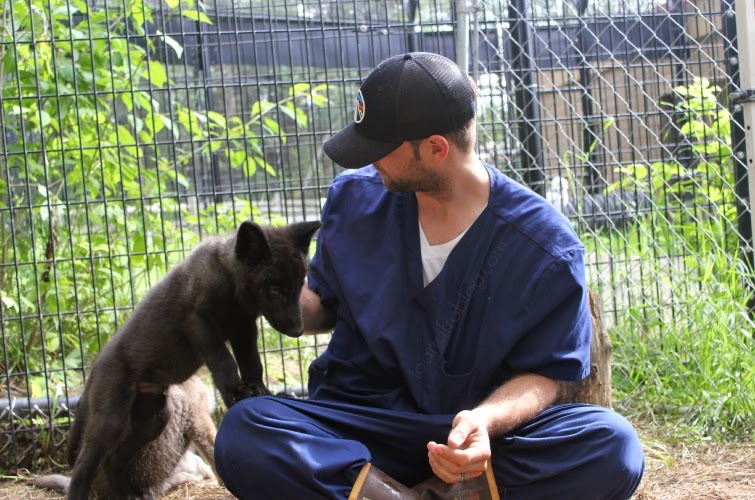 We were supervised by someone with years of experience raising wolves and other wild animals. Have you ever had a memorable wildlife experience? Aw! They are so adorable. Oh my gosh my husband is obsessed with wolves, he would've absolutely loved this! I'll have to show him these pictures tonight. Those pups are too cute!